Mines, much like Quarries, also provide a vital Resource. 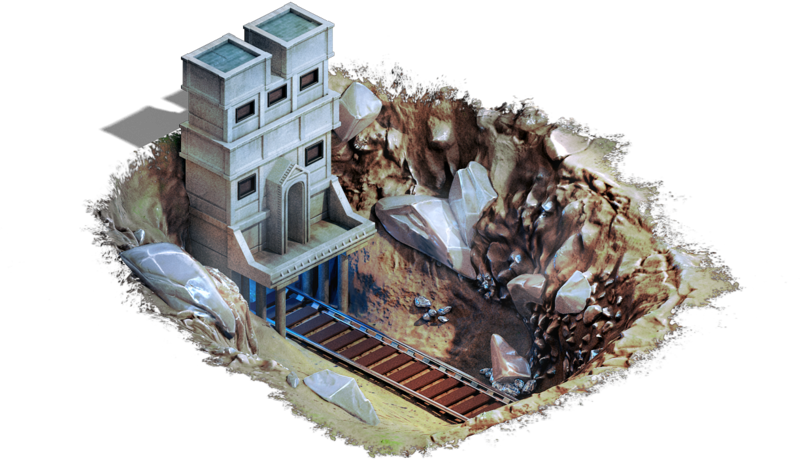 In this case, Mines produce Metal, which is crucial to supply Troops and your Hero with weapons to defend and attack with. The more Mines you build, and the higher their level, the more Metal your Empire will produce and store.